Roast garlic: Preheat oven to 350*F. Cut top off garlic bulb, drizzle with olive oil and sprinkle with salt and pepper. Wrap bulb in tin foil and roast in preheated oven for 30 minutes, until golden and soft. Squeeze soft garlic out of peel onto plate to cool. Mix beans and water in food processor. 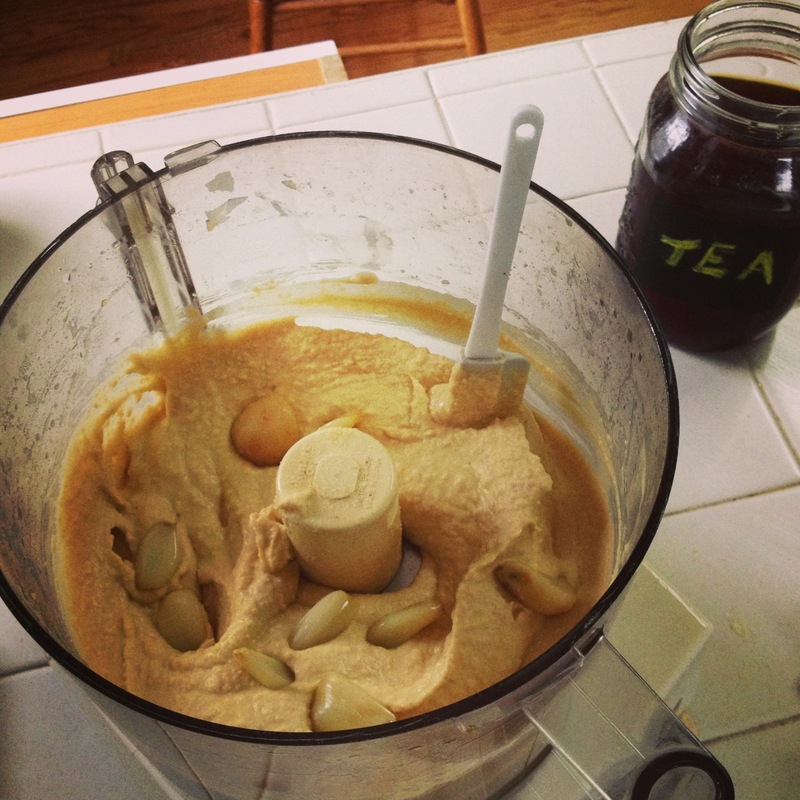 Add lemon juice, tahini, olive oil, and salt. Puree. Add in roasted garlic cloves, pulse. Refrigerate, serve with carrots or pita chips.